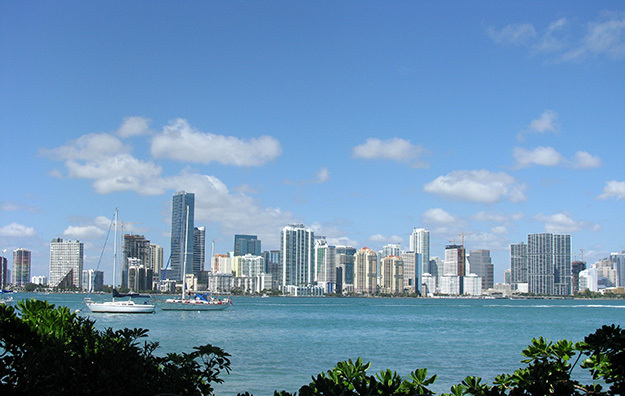 Miami is such a popular vacation destination with so much to do, to be able to see the most for less is a great option. With a Go Miami Card you can see a lot and save a lot. You’ll save a chunk on admission to many of the best Miami tours activities plus have VIP access to many of the top attractions, which means you skip long entry lines, saving hard earned vacation time. Go Miami Cards are convenient for vacation planning, especially for families and friends traveling together. The reality is, not everyone has the same interests. Why drag through someplace which isn’t interesting to you when you can do your own thing. You can with Go Miami Card. Everyone in the family or friends group receives an individual card allowing for flexibility and more vacation fun. In Miami, appreciate the beauty of the Art Deco District on a walking tour, or head out to explore South Beach on your own on bikes rented from Bike and Roll. Get out on gorgeous Biscayne Bay for spectacular views on a sightseeing cruise. Or, the whole family will have a blast riding an amphibious vehicle for a land and sea Duck tour of South Beach. The kids will love the quacking and splash down! Curious about Fort Lauderdale? Check out it out from the New River, the “Venice of America,” on a 90 minute Jungle Queen tour. While up there, head west to Sawgrass Mills to take the little girls in you family for fun at totally pink Barbie Dreamhouse. There’s really good outlet mall shopping there too! Back in Miami, the family will enjoy Museum of Science. It’s a local fave for younger kids. While in the area, a visit to palatial Vizcaya & Gardens nearby is a must. It’s gorgeous. Key Biscayne and the Miami Seaquarium are nearby, just over the Rickenbacher Causeway. With the mysterious Everglades so close, take an airboat adventure through the River of Grass. Check out Zoo Miami on the west side of Miami, where the animals run free in wonderfully large open spaces. Or, for wildlife closer in, see colorful birds, snakes, monkeys at Jungle Gardens on Watson Island, between South Beach and the mainland. While on Watson Island, kids will love getting interactive at the Children’s Museum. Heading up to the Orlando area for a couple of days? Drive over to the Kennedy Space Center for a tour, and on the way up or back, drive through the preserve at Lion Country Safari, just west of Palm Beach. Or, head down to the Southernmost Point in the USA – Key West! Super choices … and this is just a sampling. Plan well and fit in all the great fun you can in 2 days. See as many as you can, once per day, and you have 2 weeks to use the card. You’ll have a great time and save too! Take your pick from 34 great tours and attractions and see how many you can fit in 3 days! You’ll be surprised. It will be a great time, and the savings are worth it and you have 2 weeks to use the card! This is quite a pass, and a great bargain! With the 5-day pass you can go to as many of the 34 tours and attractions as you like, once per day, and have 2 weeks to use the card.